Each person’s running posture is different. Running postures vary according to your genetic makeup as well as your postural habits, movement patterns, body weight and size. 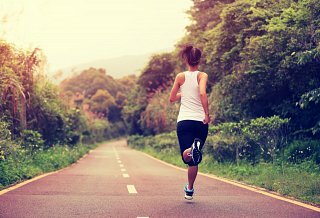 However, you can improve your running technique with awareness and techniques training. Hold your tummy in: Simple but effective advice. When you are running hold your lower tummy in. It will help support your lower back and your overall running posture. This is a Pilates technique.